Historical adaptations can be a hit-or-miss for movies. Details can change, accuracy is questionable and the entertainment value may not be at its strongest. Not all historical events are really worthy of a big screen setting. That's not to say it's the case for all historical movies. With the right story, the right cast and the right source material, a movie can come together to pleasantly exceed someone's expectations...even my own. One of the latest movies I watched in theatres is more of the latter. It earned plenty of buzz at this year's Toronto International Film Festival (TIFF) and looks to be an ongoing contender at this season's award shows. The movie I will be reviewing today is the British historical adaption: The Imitation Game. The Premise: Alan Turing (played by Benedict Cumberbatch) is a mathematician, cryptanalyst and a pioneering computer scientist. During World World II as Britain was engaged in war against Germany, the British Government secretly recruited Turing, along with a team of other code-breakers, to solve the secret Nazi code program known as "Enigma" to help stop the war and defeat the Nazis. The Imitation Game follows the story of the team working to the break the Enigma code, as well as Turing's early life as a student and his life as a professor following his work with the team. The Imitation Game was a surprisingly intriguing film. 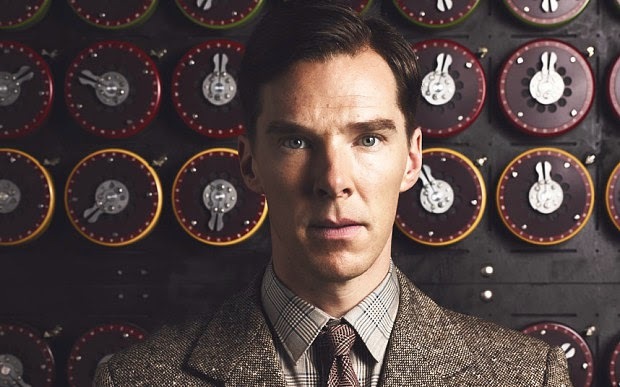 Benedict Cumberbatch performed amazingly in the lead role, perfecting all of Turing's little quirks and habits. There was a real sense of urgency with the plot and the way it was presented in the final film, I found myself captivated in wanting to know the answer to Enigma's code. Going into the movie I was not familiar with the story of Alan Turing or had read the biography that chronicled the historical events. I was a little unsure of how I would like the movie since this is normally not the type of film genre I tend to watch. I'm more of a horror, science fiction, action and comedy type of guy. I was pleasantly surprised that I found myself enjoying most of the film. The Imitation Game is a good film for anyone who likes historical thrillers or...let's face it...Benedict Cumberbatch. The movie may not be for everyone so keep that in mind if historical pieces are not your thing.